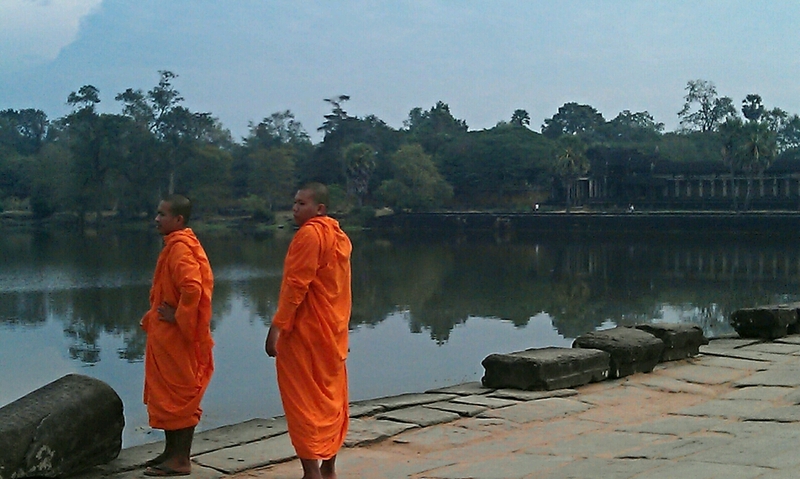 Many people refer to the area as Angkor Wat which is in fact incorrect. 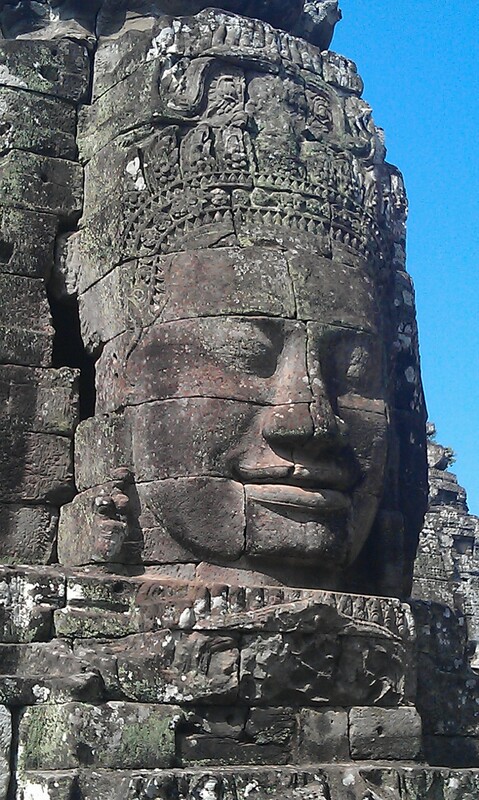 Angkor Wat is only one of the hundreds of ruins that can be found in the area, albeit it is the largest & most famous. The history of the area is covered in this short National Geographic film on YouTube. Tickets to the World Heritage site can only be purchased from the main entrance: at $20 1 day, $40 3 days or $60 for 7 days (details here). We choose a 1 day pass & managed to see the 5 main sites. 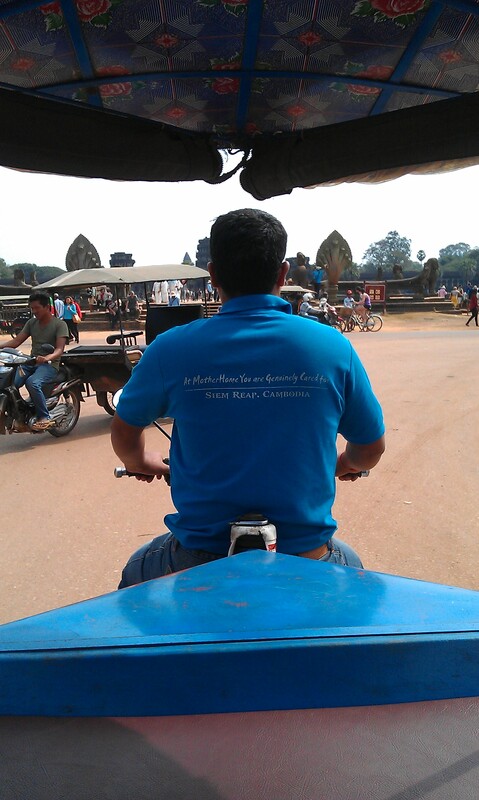 To get to the archaeological park there are a number of choices: bicycle, tuk tuk, mini bus, taxi or even limousine. We choose a tuk tuk & pre-booked a guy called Adam, who worked with our hotel, & had good English. We therefore decided not to pay for a guide. 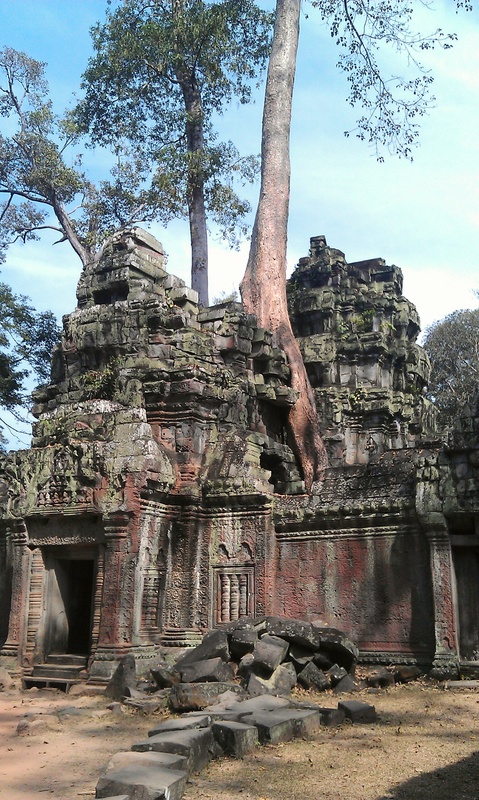 The 3km2 walled & moated royal city was the last capital of Angkorian Empire. There are five entrance gates to the city. South Gate is often the first stop on the tour. 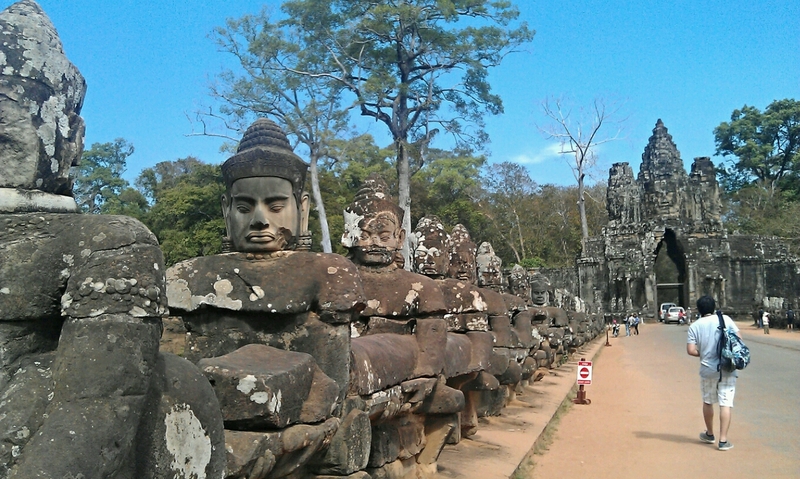 The state temple set in the centre of the Angkor Thom. 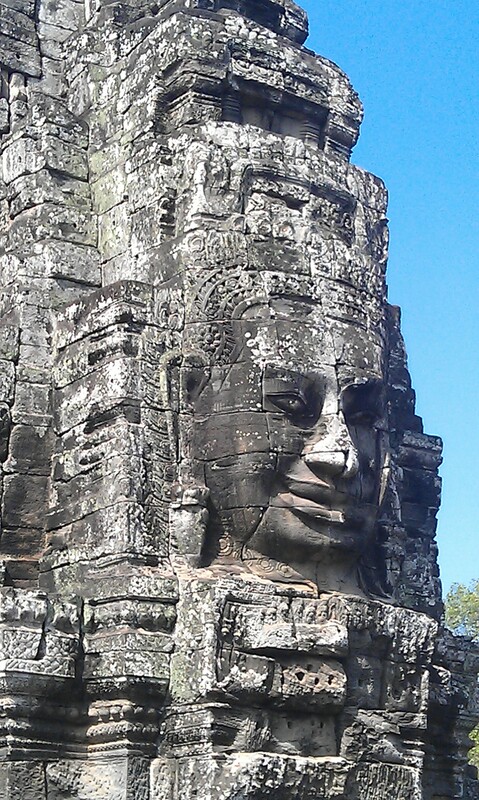 The giant stone faces have become the most recognisable images of Khmer architecture. This sprawling monastic complex is still partially overgrown by jungle. 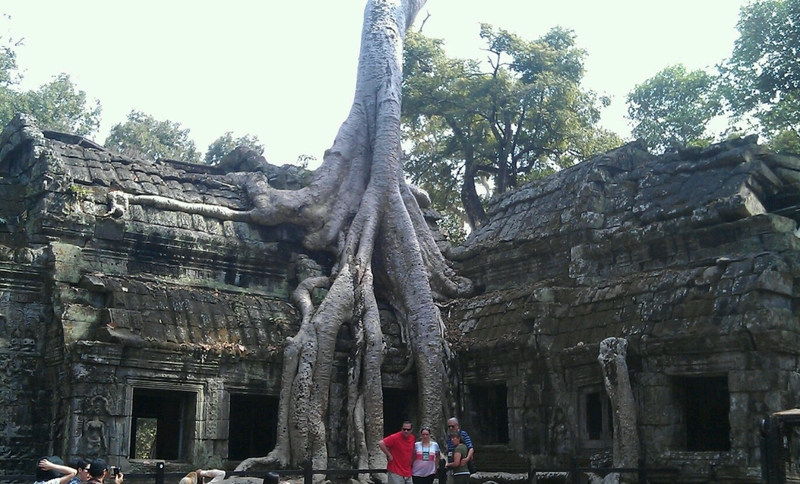 Massive silk-cotton & fig trees grow as part of the ruins. 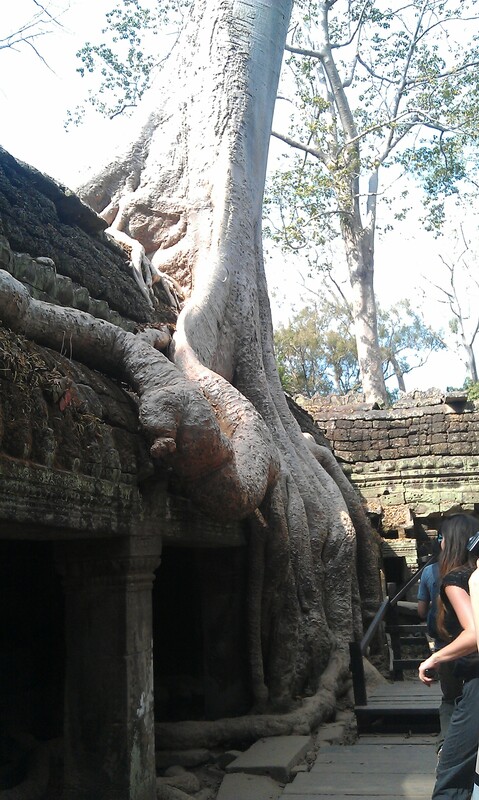 Is the tree holding the ruins together or vice versa? 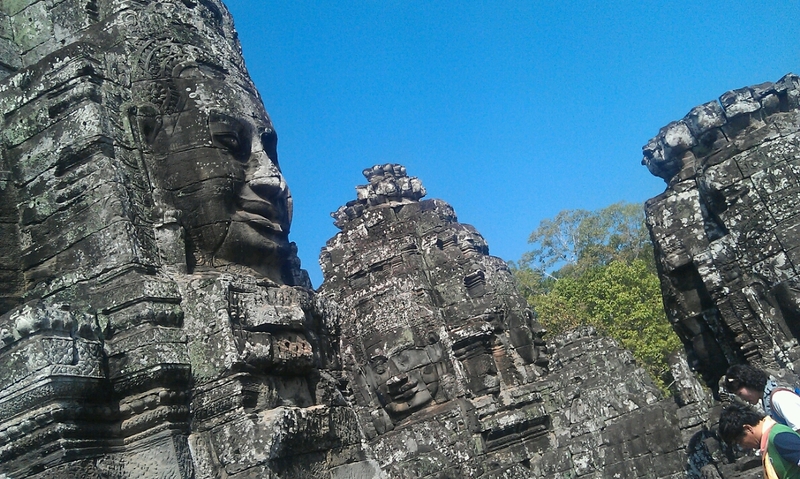 Apparently one of the Tomb Raider films was shot here, leading the locals to call it ‘Tomb Raider Temple’ of ‘Angelina Jolie Temple’ much to the historian’s annoyance. Whether you choose a short tour (as we did) or several days, be prepared for hot tiring days. 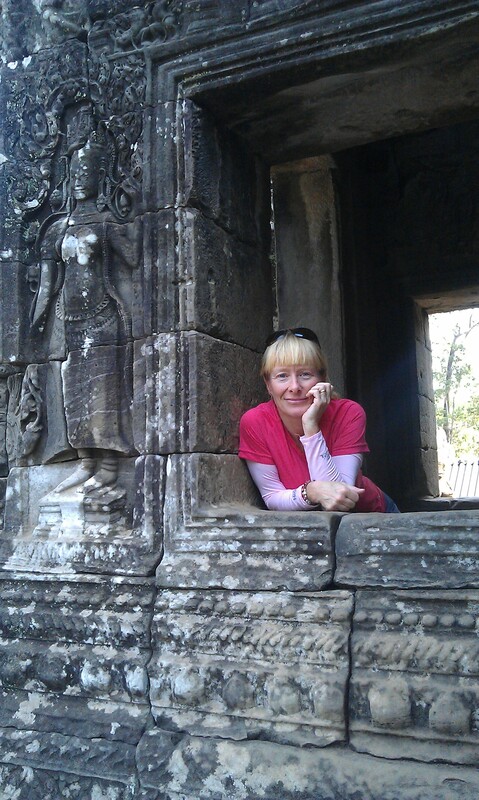 Most of the ruins involve either gentle climbing (stairs) or more vigorous climbing in the heat. 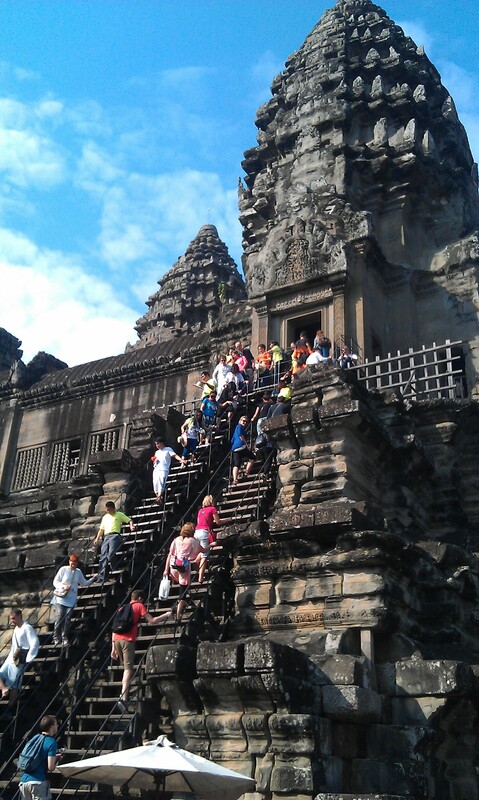 Angkor is also extremely busy (especially during high season when we visited). Be prepared to get jostled, bumped or even pushed as tourists try to get a good photo opportunity. 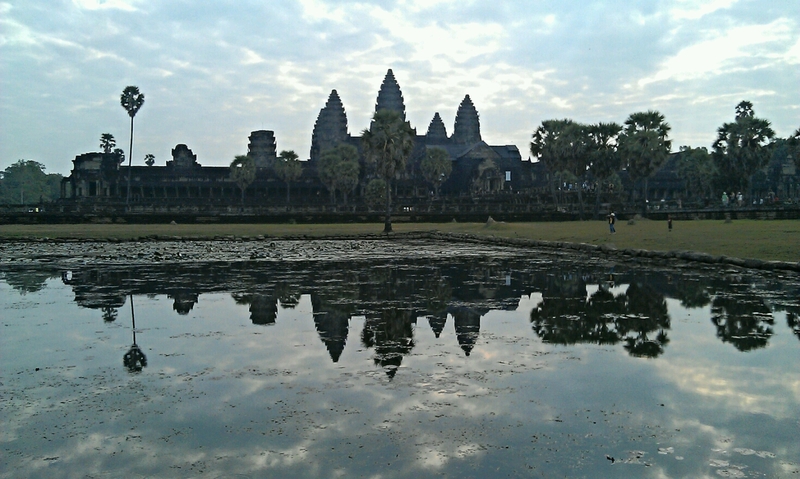 We picked a great tuk tuk driver who took us to Angkor Wat first (about 8.30) & therefore we managed to avoid too many crowds until the afternoon. Definately a must to visit for me one day.